My sister took this little gem over the weekend. 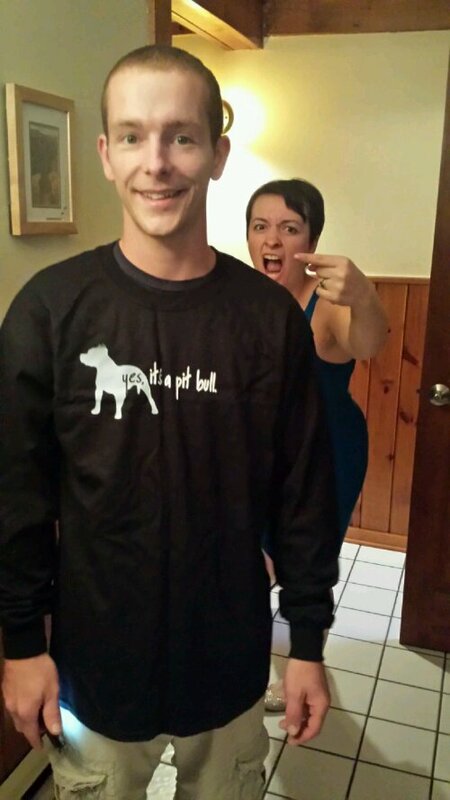 She wanted a picture of my brother wearing that shirt….I seized the opportunity. Photo-bombing lesson: The element of surprise is key. Any words of wisdom to fellow photo-ruiners? I know… I have so much to catch up on in the blogging aspect of things. This weekend was Strides for James and it was so much fun! I’ll be doing a post that details a little bit of everything… but I honestly haven’t had a moment to sit and collect my thoughts. So, to keep you until then, it was awesome. Our first year was a success. So, I’ve been taking a lot of random pictures on my phone lately. Mostly of food and some other things…but mostly food. So here’s a look at what I’ve been eating and doing lately. I have a serious weakness for scallops…and margaritas. 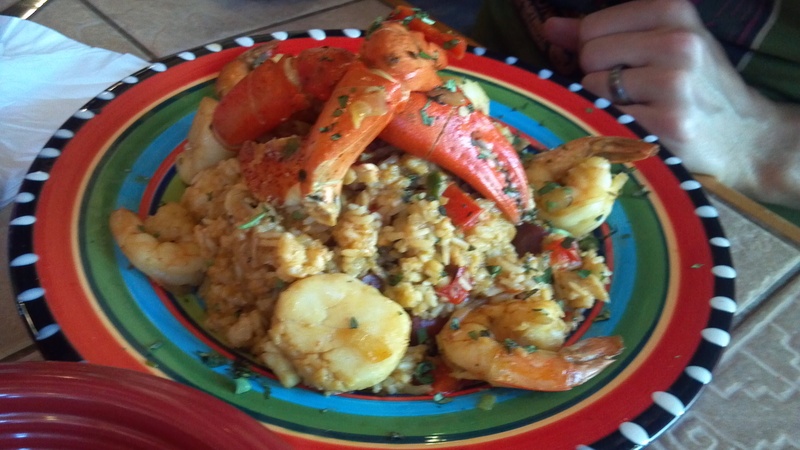 Cinco de Mayo Seafood Paella…totally not local, but so good. 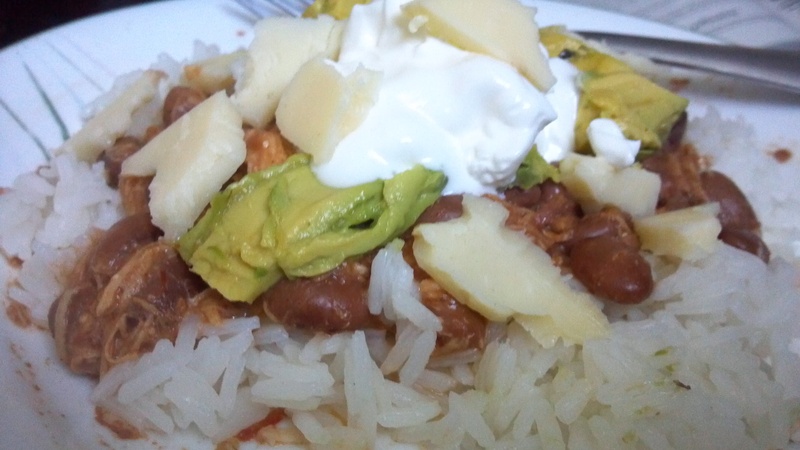 Crock-pot Mexican chicken over rice with avocados, sour cream and NY Cheddar.. Yum. This is what happens when you are planning a fun run and go to the grocery store at 6:00 am…you leave with two cases of free bananas and one discounted case. 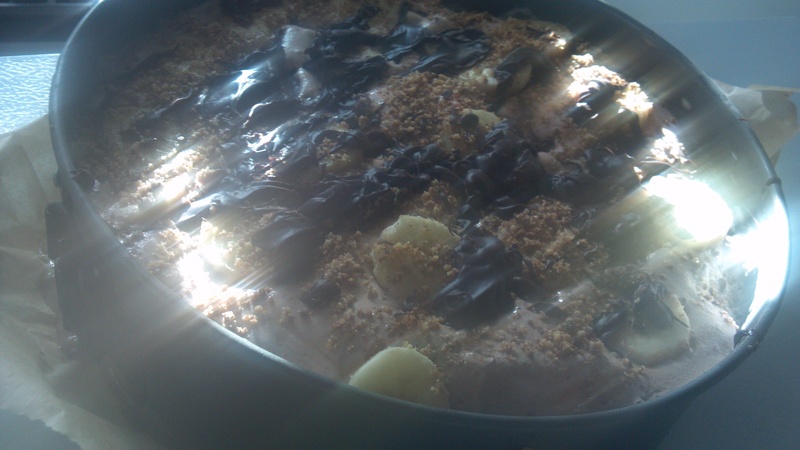 Banana Split Ice Cream Cake! 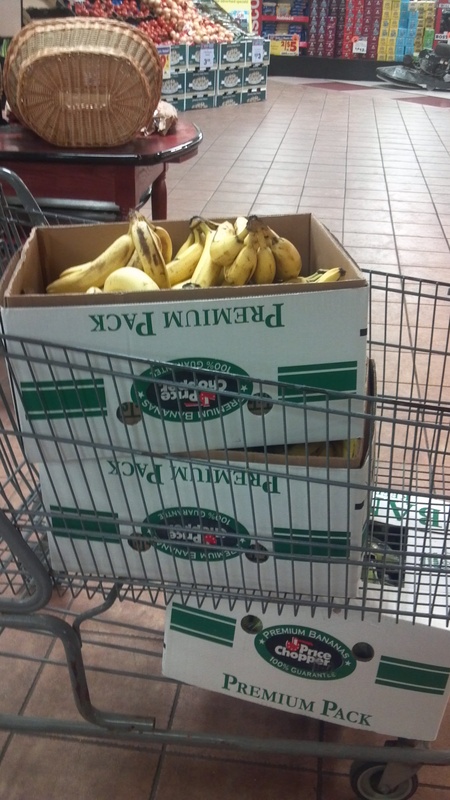 I’m also happy to report, after taking home about a half case of bananas, we are down to seven. Farmer Ben and I are a great team in the kitchen! 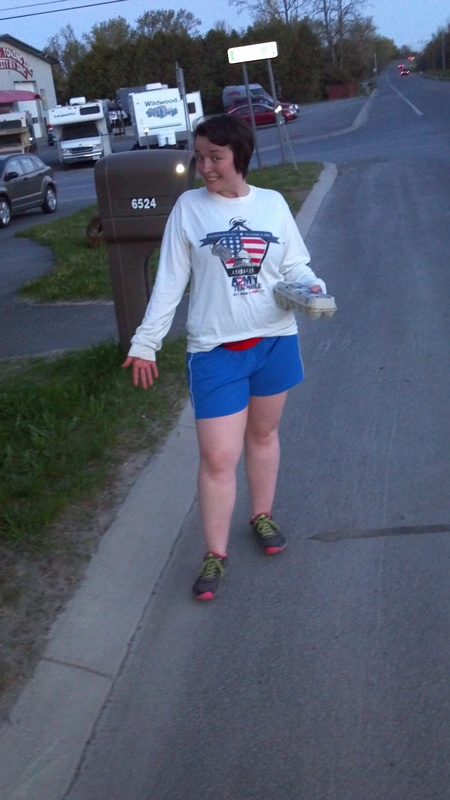 A mid-week run past a neighbor’s house… somehow we came home with two dozen eggs! What?! It’s warm enough to wear shorts?! And we got free eggs?! 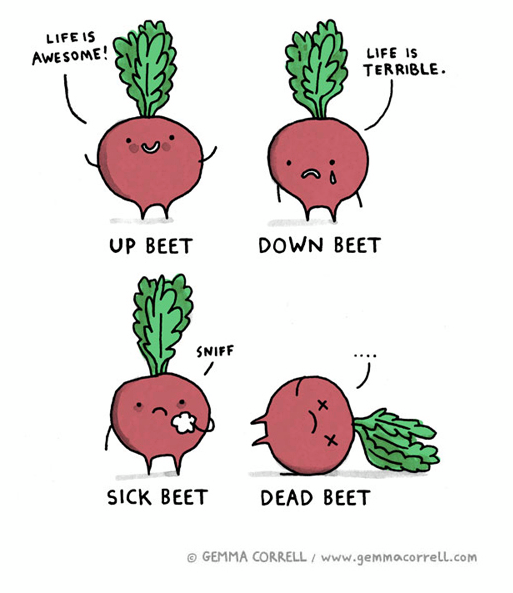 And this last piece… just made me chuckle. 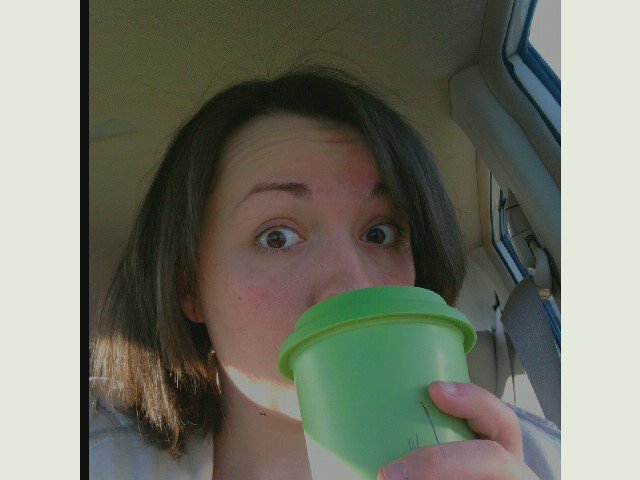 So…this is my first post… not that I am nervous or anything, I just haven’t blogged in quite some time…..not since Myspace…and I deleted my Myspace a long time ago. Picture it. August 20, 2011. A winery. An absolutely gorgeous day, after a summer of flooding, humidity and endless rain. It was sunny, warm and the vineyard was in full bloom. A happy couple exchanging vows and beginning their lives together, posing for the photographer. A relative who drank too much (sorry, Chris). That was my wedding day…but that’s not what this story is about. Now… fast forward a month or two. Photos of this wonderful day have been posted on facebookdotcom. But the actual photo CD has not yet been received. If you are a bride, you know how frustrating this is. I emailed our awesome photographer (Shout-out to Jona!) and found out that she had mailed the disc weeks before. No big deal, she would resend. I mean, she only lives two hours away, so ideally I’d get the copy in a day or two. A week later the photos were at the back of my mind, as I was still in recovery mode from a nasty cold and a bit of a rough trip to Philly (you’ll read about that, too). I got home from work-it was a Monday night- and headed to the mail box. My heart skipped a beat when I saw the envelope with Jona’s address on it! YES! The photos were finally here! I hurried inside, dropped everything I was carrying in a heap on my dining room floor and ripped the envelope open. I pulled out a note from Jona and…nothing else. WHAT?! There was nothing in the envelope?! What sort of cruel joke was this? I looked down and noticed a small tear in the corner of the envelope. “No…. that doesn’t actually happen,” I thought, but my mind was already racing, jumping to conclusions and envisioning some punk kid with a mohawk tearing into the envelope to get out the thumb drive. What a bum! I went over to the heap on the floor and proceeded to examine it carefully-just in case I had dropped it in the rush-but there was nothing. I even went back outside and retraced my steps to the mailbox, just to double check. Still nothing. “Ugh! Why does this stuff always happen to meeeeee? !” I thought, because clearly, nothing worse can happen than having to wait for a thumb drive or a CD. Feeling quite discouraged, I emailed Jona and felt a bit better knowing that she was as shocked and frustrated as I was. We planned to make an exchange that weekend (Ben and I would be in her neck of the woods)…unfortunately, Ben and I had a change of plans so Jona mailed us another copy of the photos, third time is the charm, right? And it would only take a day or two, right? I gave Jona my work address, just to be sure. That was a week ago. Still no photos. I’ve been checking my mailbox and the work mailbox like a mad woman-hoping against hope that today will be the day! And for once, it was…but not in the way that I expected. I was sitting at my desk typing away when my phone went off (apparently “silent” means buzzing loudly and moving around on my desk). I scrambled to hit the ignore button, but not before noticing that Mary, from the Amazing Grace Winery was calling me (She’s the best!). “That’s weird,” I thought, but I knew she’d leave a message so I waited. I then called myself, itching to find out what was up. Basically, she had received a small package and a note from the post office. It was a thumb drive. The note said that the contents of the package had been separated from the original envelope and that they had looked at the contents of the thumb drive to try and determine where to send it. 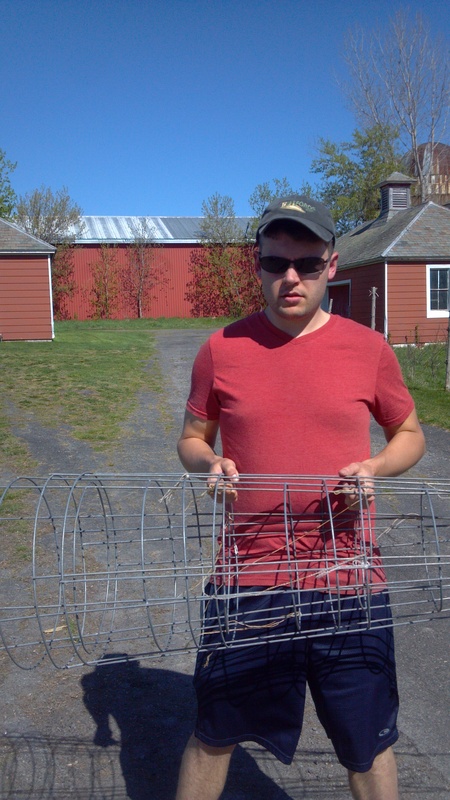 Luckily, there were lots of photos of the winery, their logo, and their front lawn sign. Mary remembered me telling her that I was waiting for photos and was rushing home to double check that they were indeed mine. Yeah, I almost fell out of my chair. All I can say is that God has a great sense of humor. I will be calling Mary immediately (as soon as a I get out of work, shh!) and hopefully going to pick up that thumb drive! Keep your fingers crossed that she wasn’t playing a joke on me! So, in closing, My name is Noelle, and this is my life. Hopefully, you’ll tag along. Wanna take a drive with me?